With so many people turning towards juicing diets to gain an infinite number of health benefits, it can become confusing for newcomers to fully grasp what juicing is all about. The health concept of juicing has been around for some time now; however, it has gained immense popularity over the last couple of years. If you find it hard to eat vegetables and fruits on a regular basis, it would be a great idea to make a small investment by getting a high-quality juicer. This is undoubtedly among one of the best steps that you can take to enhance your overall health. Raw juice is loaded with micronutrients that are crucial for a healthy body and mind. Drinking juice first thing after waking up is a great way to boost your body’s energy level naturally. Juicing is not just about boosting your energy! Read on to find out more. Here are three main reasons why you should seriously consider juicing fruits and vegetables as a part of your health program. This is an extremely important advantage of juicing. Most of the people nowadays live with an impaired digestive system – something that has resulted from years of selecting unhealthy food options. This restricts the body’s natural processes from efficiently absorbing the nutrients from fruits and vegetables. Juicing, on the other hand, makes it easy for the body to absorb such crucial nutrients by helping to ‘pre-digest’ them for you. This means that you absorb more beneficial vitamins and minerals instead of just letting them go down the drain. Almost all health literature out there recommends that people eat at least 6 to 8 servings of fruits and vegetables every day. However, ask yourself: do you eat as much natural produce as the guidelines suggest? The answer is probably no. This is where juicing comes in. Juicing allows you to gulp down 6-8 servings of fruits and vegetables effectively and easily, something that would appear to be an impossible task otherwise. With that said, this method guarantees that a person will definitely reach their daily intake target for greens (and other fruits and veggies for that matter). Generally, people eat the same types of salads and fruits every other day. This prevents them from enjoying the nutritional benefits of other fruits and vegetables that are left out. This also limits the number of highly beneficial phytochemicals you consume. Juicing makes it easier for you to mix in different varieties and enjoy deliciously-tasting juices. Juicing brings with itself a number of health benefits. This is exactly why it is becoming more and more popular with time as people gradually gain an understanding of its advantages. This is great news for those wanting to shed a few pounds. Juicing, unlike other diets, does not deprive your body of essential vitamins and minerals. It nourishes your body with the nutrients required for proper mental and physical functioning while allowing you to lose weight. A study reveals that people who drank the juice of at least 8 oz. of vegetables lost as much as 4 pounds in just a little over a 12-week period. These individuals also had a greater intake of potassium and vitamin C, besides a decrease in the intake of carbohydrates. Juices boost the immune system by providing it essential phytochemicals. Raw juice is also rich in biophotonic light energy, which helps to rejuvenate the whole body. The presence of nutrients in abundance tends to balance the pH levels of the body. This causes an increase in energy levels. Because of the fact that this energy can be utilized by the body almost immediately, those who follow a juicer diet report to feel a ‘kick’ of energy after drinking juices. According to a research by the Kame Project, those people who drank fruit and vegetable juices more than 3 times every week, as compared to once a week, had a 76 percent reduced chance of developing Alzheimer’s disease. Juice cleanses have rapidly become the latest health trend these days with numerous pre-packed juices and juice bars available. While some of these packed cleanses may bring some benefits, there definitely cannot be compared with the freshness of the juices that you create using a juicer. It is recommended that you use fresh fruit and vegetables when turning toward the juicer diet – these juices are free from any preservatives and harmful chemicals! While fruits are excellent for your overall health, an important distinction needs to be made. If your juices contain a lot of fruits, you will be consuming something that is high in sugar and calories. You may add a kiwi, an apple, or a few berries here and there to enhance the flavor of your juice, but the main portion of your juices should come from organic vegetables. Unfortunately, the prevailing stigma that green juices taste bad has been lingering for several years, and many people avoid them for this exact reason. A research shows that around 28 percent of Americans simply do not ‘like the look’ of these juices, while 32 percent of participants stated that their least favorite juice was that of the greens despite agreeing to the fact that they are the healthiest option. In some cases, it may take some time for you to get used to it, but you need to realize that their flavor is not at all that bad. If you are completely new to juicing, you may want to start off with mild vegetables, such as cucumbers and celery. Once you have gotten a hang of it, you can move on to romaine lettuce, red leaf lettuce, escarole, cilantro, parsley, spinach, and many others. Vegetables such as dandelion, collard, kale, and mustard greens are somewhat bitter, and you may want to start adding a little to get used to their taste. Remember, it is not about how it tastes, it is about what benefits it brings to your body! Lemons and Limes – Add half a lemon or lime for every quart of green juice. Try to experiment with the quantity of lemon/lime to find the right mixture for you. You can even juice the skin if you want to avoid the hassle associated with peeling them. Cranberries – You may also want to add a few cranberries to enhance the flavor. Limit the amount of cranberries to around 4 oz. for every pint of juice. Fresh Ginger – Ginger can be an excellent way to spice up your juices for that distinct flavor. Once you start to get into the habit of enjoying a juicer diet, you will begin to look forward to your next green juice intake. It is strongly recommended that you use only the organic vegetables whenever possible. Drink the juice as quickly as possible after you have prepared it. Vegetables juices are highly perishable eatables, and this is precisely why it is important to drink them immediately. Nevertheless, you can store them for around 24 hours if you do so properly. Do note that there will be a slight nutritional decline when juices are stored. • Make sure you put your juices in airtight glass jars, filling it to the top. There should be as little air as possible in the jars. Air (particularly oxygen) is known to oxidize the juice and damage it. • If you are serious about the quality of juice that you drink, why not consider buying a food vacuum pump. You can use this device to draw the air out of the jar, thereby prolonging the freshness of the juice. • After you prepare a juice and want to store it, immediately place it in the refrigerator. However, just like it as mentioned previously, it is not recommended to store fresh juice for more than 24 hours. 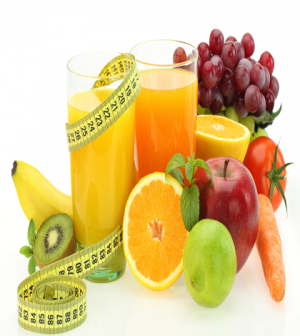 If you have taken interest in juicer diet, then you have undoubtedly set out on a journey towards a healthier you. There are lots of proven benefits associated with juicing and it is a great way to add the essential vitamins and minerals that are usually lacking in our bodies. You can learn more about juicing by following specialized diets that have been created by wellness professionals. Try going green, you will surely love it!